Buttock muscles. 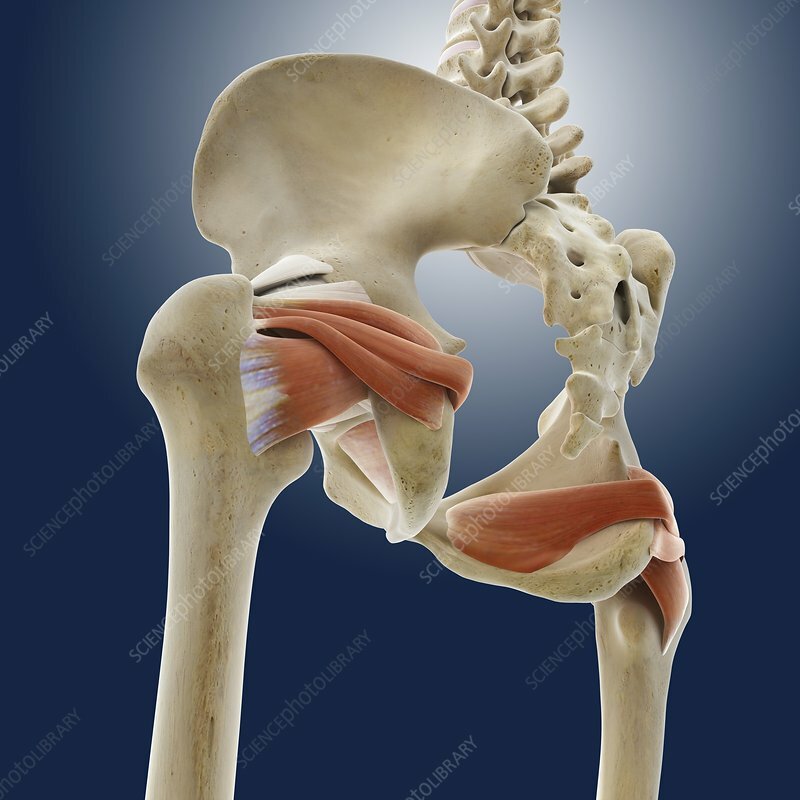 Computer artwork of a posterior view of the hips showing some of the muscles of the buttocks. At left the muscles from top to bottom are; superior gemellus, obturator internus, inferior gemellus and quadratus femoris. These muscles act to laterally rotate the thigh.